Orluna Air Butterfly Quad 50 adjustable interior LED spotlight. 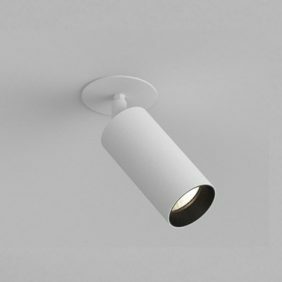 A powerful directional spotlight providing a warm light. This fitting is directional and has a recessed baffle to reduce glare. 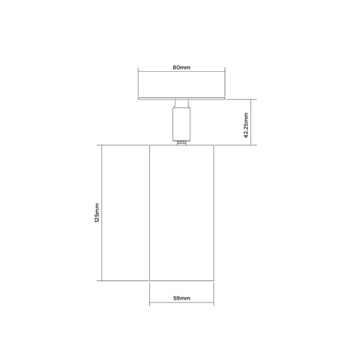 This fitting can be supplied as an IP54 or IP65 version, so suitable for almost all situations. Various finish colours are available with a further choice of recessed baffle colours. Beam angles of 26, 32 and 46 degrees are available, and light output colour temperatures of 2700k, 3000k or 4000k. Various ceiling fixings are available, including surface mounted.